Building Fitness, Confidence & Respect in Adults and Kids of all ages. Our experienced instructors are passionate about giving every student the skills to develop, grow and thrive! Looking to take up karate? . . . or ready to return to training? With a focus on fitness and personal development, our adult classes will get the best out of you . . . whatever your goal! Kazoku Kan Martial Arts Academy delivers fun and encouraging kids classes that focus on building life skills in your karate kid. Classes are open to children aged from 4 to 13 years, giving them the skills to develop, grow and thrive. 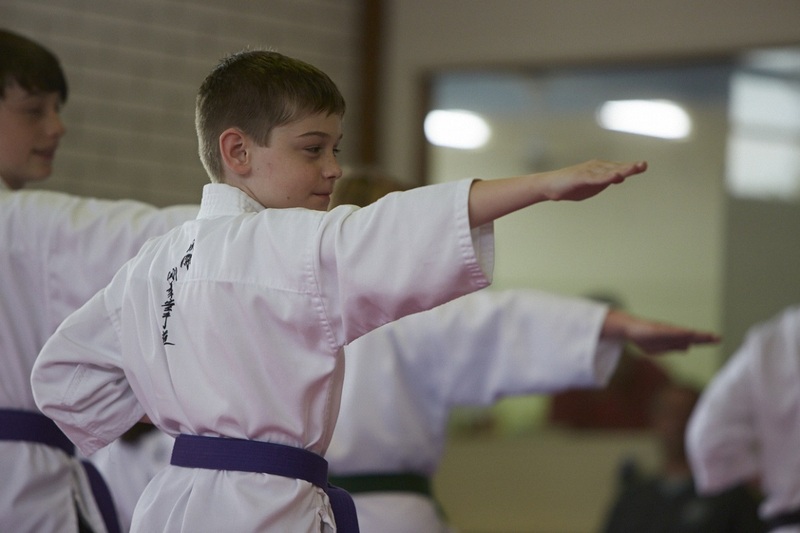 Kids classes at both our Doncaster & Ocean Grove dojos begin with our “Little Ninjas” program for kids aged 4 to 6 years old, through to our “Black Belt Club” class for advanced juniors. Whatever your child’s age or ability, we have a class for them! For children aged from 4 to 6 years, our “Little Ninjas” program builds discipline and concentration in your children. Each class focuses on developing physical, emotional & social skills through karate games and activities. We teach your kids about respect, the importance of good manners and the significance of listening, in a fun, friendly and interactive environment. For children aged 6 to 10 years, our “Novice Juniors” class focuses on building confidence and developing coordination in your children, and the importance of awareness of self and others. Students will also be introduced to a broader range of karate techniques, with an increasing focus on posture & control. The third class we offer for children is our “Intermediate” class, focusing on the refinement and development of advanced karate movements and techniques, expanding on those learned in our “Novice Juniors” class. In this class, students are introduced to more free-styled activities including controlled sparring, basic self-defense and the regular discussion on the application of techniques. 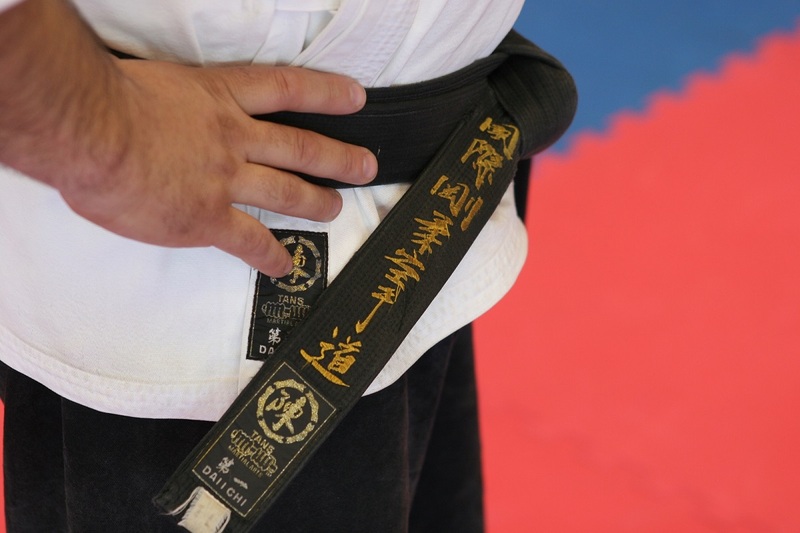 Our “Black Belt Club” class is for those advanced juniors who consistently demonstrate the discipline, respect and persistence to reach black belt and beyond. In this class, students are exposed to more “fluid” sparring, as well as advanced karate forms and movement, with a focus on application and understanding. 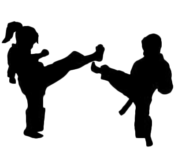 Kazoku Kan Martial Arts Academy offer Adults classes catering to a wide range of fitness, age and experience levels. A new addition to our adults classes is weapons training in Filipino sticks and Japanese Tonfa (baton). 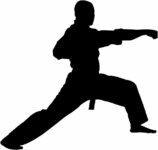 If you are new to karate, our “beginner only” classes will provide you with an excellent introduction to traditional Goju Karate, whilst our combined level classes are ideal should you be returning to training. 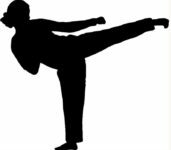 As a member of the Adults class, you will learn traditional Goju Karate from our highly qualified and experienced instructors. Through these classes, you will develop an excellent understanding of the application of various karate techniques. Adults classes at Kazoku Kan Martial Arts Academy are conducted in an atmosphere of friendship and encouragement to build coordination, mental and physical strength, whilst enhancing karate skills. With a focus on fitness and personal development, our instructors will get the best from you, whatever your goal. The origins of karate date back to unarmed oppressed travelling Buddhist monks. In order to survive they developed a weaponless form of self-defense, Karate. In 1477 the King of Okinawa banned weapons to assert his authority. Okinawans took this opportunity to utilize the karate style previously developed and trained in secret so as they could defend themselves. In the 1900’s Chojun Miyagi, a well skilled karate-ka [karate student], travelled China to learn more about the foundations and different interpretations of karate. After this extensive research he formulated his own style that contained a complementary utilization of both hard and soft styles. This style was known as Goju. Miyagi refined his style over a period of decades training many students including Gogen Yamaguchi, who would go on to receive his 10th dan. Our Dojo is named Kazoku Kan, which in Japanese means the family dojo. Husband & wife team Tony & Louise have worked hard since 2003 to create a karate school that feels like home. We have many families that train with us – brothers & sisters, mothers & sons, fathers & daughters. 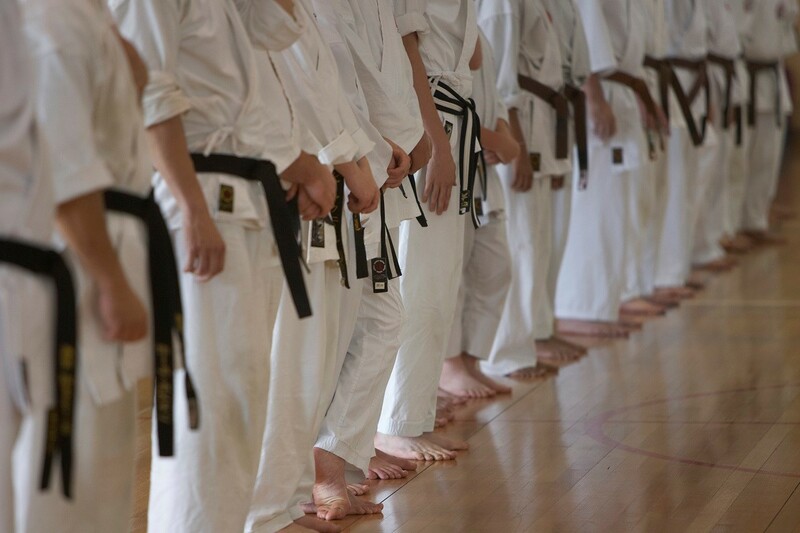 All our students work together in an atmosphere of friendship & encouragement to build mental & physical strength and resilience while working on their karate and self-defence skills. Tony started his karate journey as a teenager, training for 5 years in Shotokan karate under sensei Edji Zenel. Later, both he and Louise trained for many years under Goju practitioner Paul Ceberano Kyoshi. They continue to train locally and interstate with different Martial artists, expanding their knowledge of Goju in particular but Martial Arts in general and passing that onto their students. Louise is passionate about empowering women, and building strong confident girls. She has a particular interest in how martial arts can be beneficial for children & adults on the autism spectrum. Flick was their first student and has continued to train and teach, she has a unique way of imparting information and explaining new concepts, and the kids love her! Our teaching team have extensive experience teaching students of all ages. We pride ourselves on the level of commitment, care and enthusiasm we have for teaching karate. We have specific training programs, designed to meet the physical and emotional developmental needs of each junior group. Louise has a degree in Psychology and Tony is a Government accredited sports coach: we bring more than karate to our karate classes!